Comments: Watch for wilting and dying of plants in the warm months due to Southern Blight. Leaves have a metallic appearance. 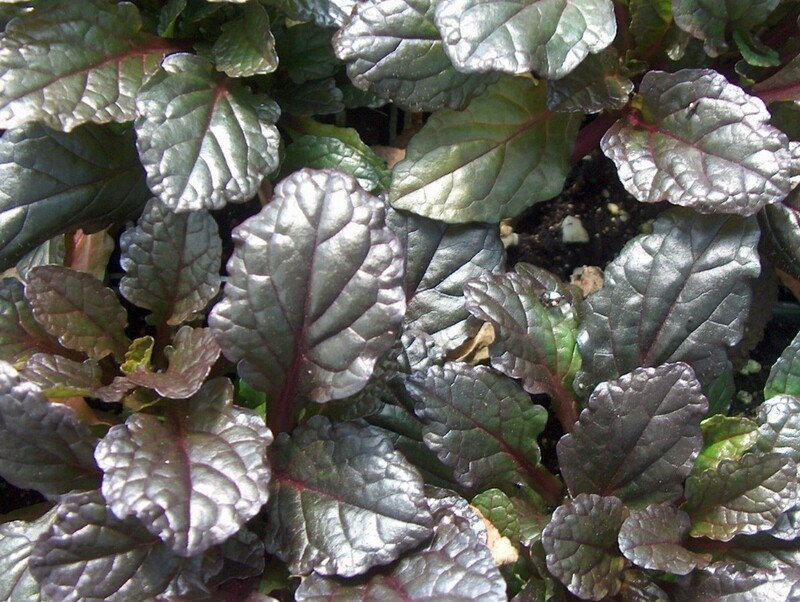 A selection with very dark purple, glossy foliage.